I thought after finishing the Red, Teal and once I completed the variegated project I would put in some sewing time, but nope. I put the variegated project on hold and while on vacation.... yes, I took my hooking to Vegas... 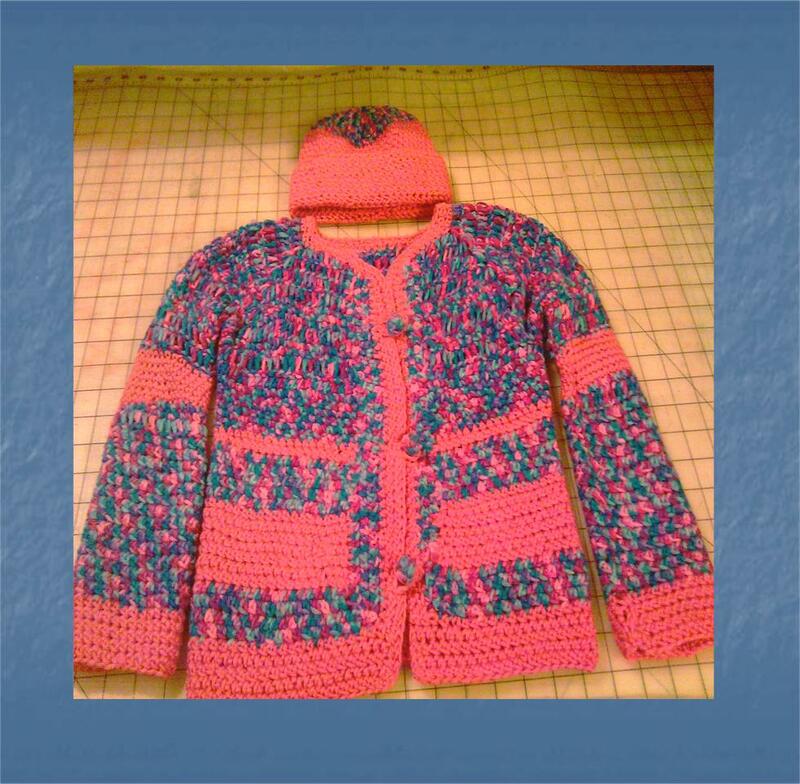 I was able to complete a sweater for my great-niece. I followed Gail Tanquary's Striped Crochet Cardigan & Hat pattern, which is a top down crochet cardigan. I've never done a top down sweater and thought doing a child pattern would be a good idea. Of course, I detoured from the pattern a little by playing with the solid pink. The project took 4 days and was a joy to work up, but need to fix the right bottom sleeve, I have some weird stitching going on. While relaxing over the weekend and regrouping from an awesome vacation, I started another one using the same pattern but used solid purple & variegated purple yarns and did a smaller size. What remains are the sleeves, buttons & hat. Some how all of my comments were deleted in my post, but wanted to Thank you all for the beautiful compliments.